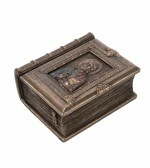 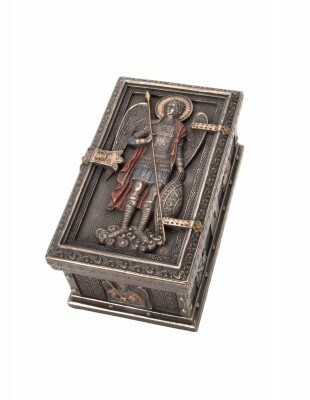 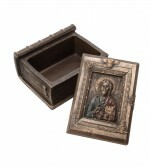 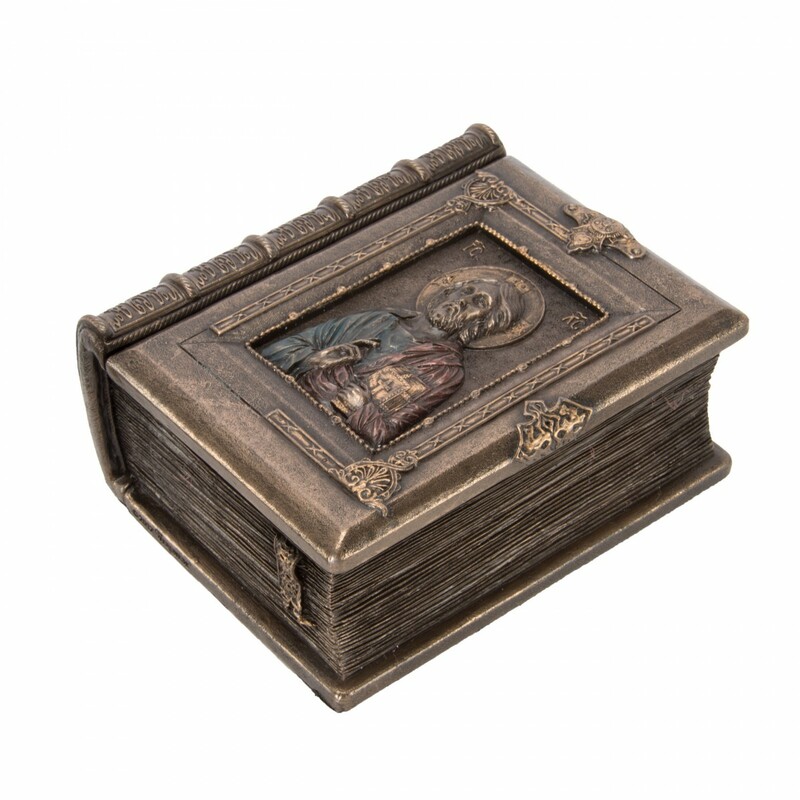 An interesting and impressive Christ the Teacher Box made of solid, durable resin with the raised image of Christ beautifully detailed and lightly hand painted. 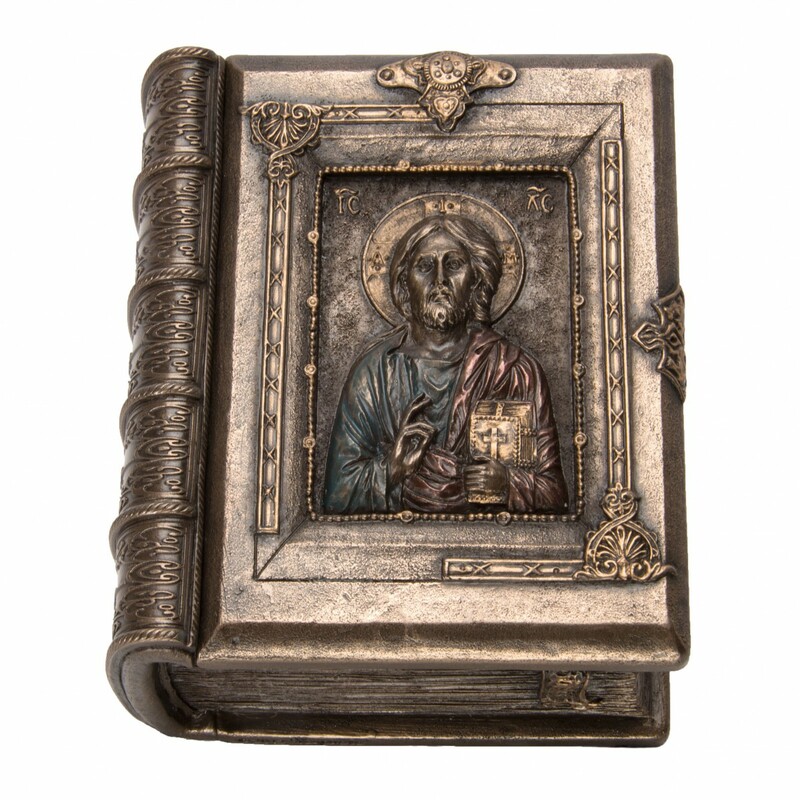 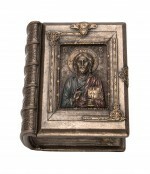 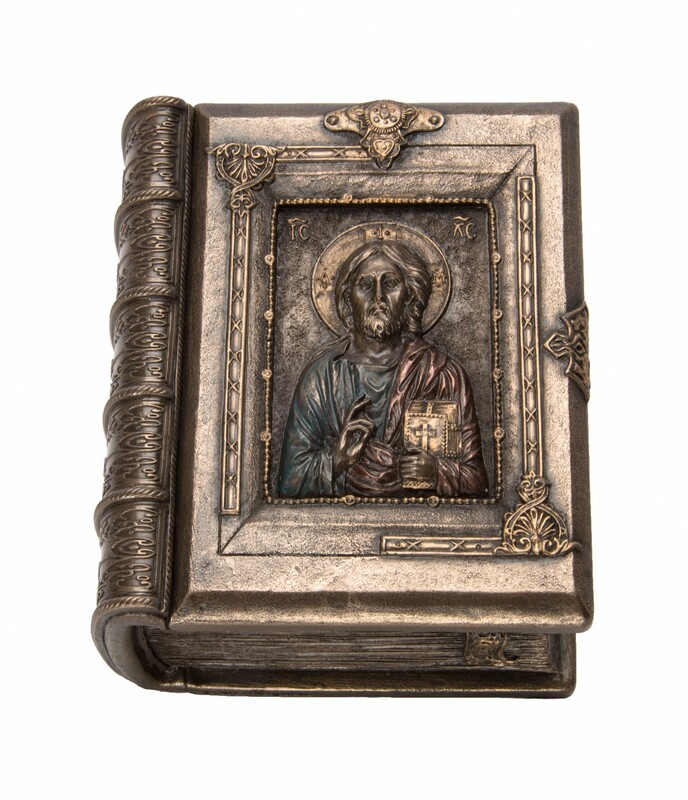 The box is neatly molded in the form of a book, complete with its own “place ribbon.” Christ is shown holding Sacred Scripture with this left hand, and with his right hand he makes a solemn gesture of benediction. 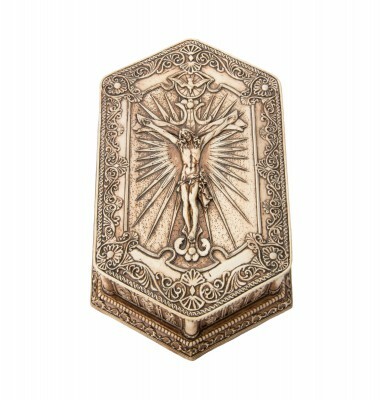 His two raised fingers represent his divine and human natures, while his three curled fingers represent the three persons of the Holy Trinity. At the same time, his outer red garment symbolizes his human nature while his inner blue garment symbolizes his divine nature. 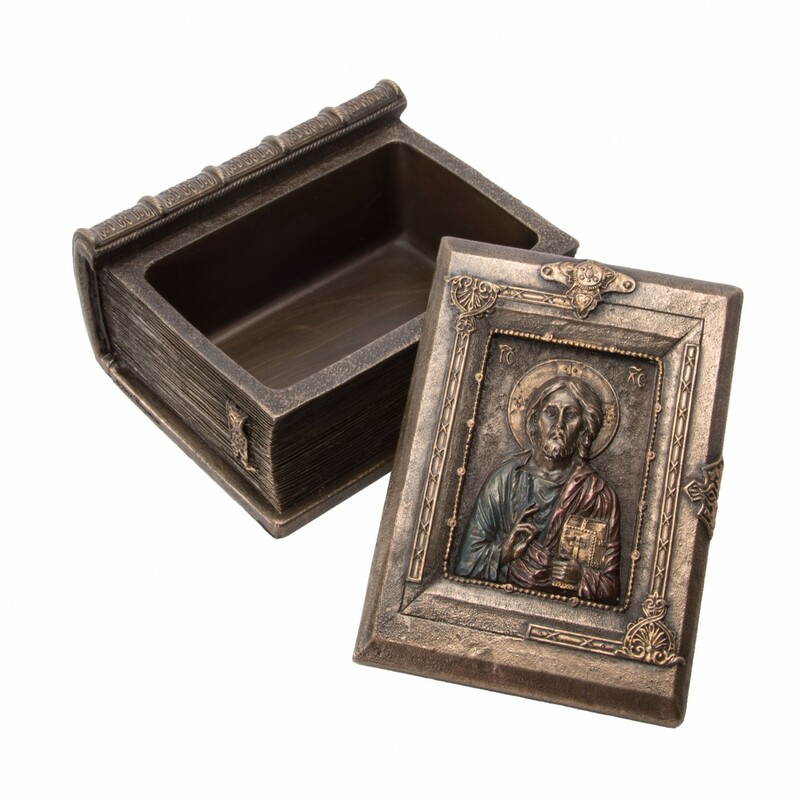 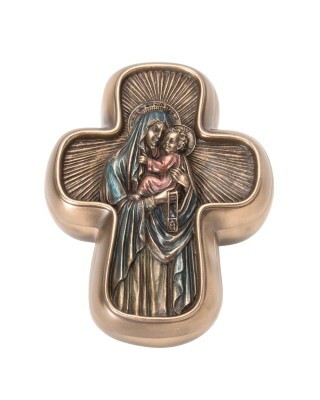 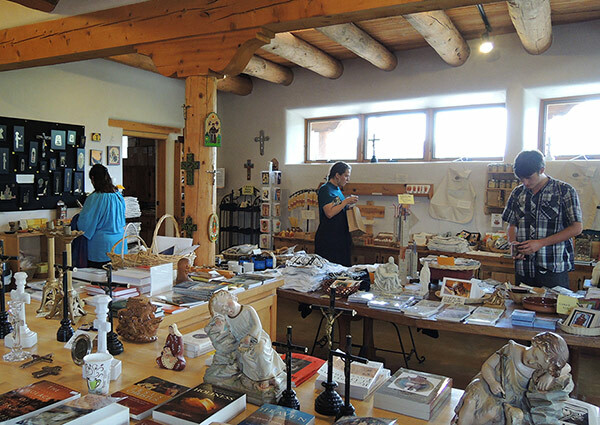 A great way to store pendants and other valuables and a gift for school age children to have a useful article around which also keeps the presence of Christ in their minds.